I dont think I could conclude any further on the Betz limit based on this. Lift devices = downwind devices (IMHO) like yoyo, “Betz limit” being 4/27. Drag devices = stationary devices (IMHO) = torque devices (IMHO) like Makani’s flygen, @dougselsam’s Superturbine tm, @Rodread’s Daisy, @PierreB’s Rotating Reel, also conventional wind turbine, and device with rope-drive like @Kitewinder’s Kiwee, Betz limit being 16/27. But lift and drag devices can have the same efficiency per wing area, and crosswind flygen like Makani’s wing swept far more space than required. So in practice crosswind yoyo and flygen efficiency (and perhaps space use) can be similar. I’d sure like a source that is more recent and about more relevant applications and materials. It does give some info. Half a turn around a drum is not much for a UHWMPE tether (pulley). A table of coefficients of friction of an UHMWPE tether (or a similar material) with different materials, like rubber, would be nice to have. These tables exist. You might have to account for wet tether also. The reel will probably have to be steel. I believe you will need more than 180 degree contact according to the capstan equation. Is it the next step for Kitemill as they went from soft wing, then rigid wing, then Vertical Take-off and Landing aircraft (VTOL) with propellers*, using yoyo method? *Using VTOL propellers as wind turbines looks to be the natural development. You have to look at each system to decide what is a good fit. For Kitewinder a rope drive seems to make sense. For me the considerations are the cost of the electric cable and the cost and weight and development of the airborne generator. Cons of a rope drive are the cost and durability of the tether, so it’s important to design the system to work around that, if that’s possible. I don’t think either scale as well as a yoyo system though, so that looks to me to be to the most promising method. But this topic is not about that. The VTOL propellers are natural power generation for onboard power. The produced energy is through tether and yoyo like always, there is no plan for changing any of this (at Kitemill). Though there are several voices of concern about this strategy, and I can sympathize with them to some extent, yoyo is still a viable and maybe a very strong contender in the architecture battle in AWE. We must also remember what the current state of the art is: as much as I would like to have made a rig with many kites, flying a single wing seems like a logical step in order to progress. And once we get there, perhaps we’ll find that a single wing is enough? This also means that if I say that such and such is a good idea, that does not necessarily mean that Kitemill as a company is of the same opinion. Back to the original analysis I made. The ratio of usable force difference to sum of tether tension forces is approx (0.45/2.45)~0.18 which is approx 1/5. So if the rope speed with slack return tether is approx 1/3 windspeed, with a 180 degree pulley at either side the rope speed must be minimum 5/3 times windspeed to transfer all the produced power. 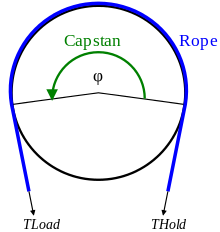 A reel or rather more turns on a single wheel has problems related to twisting the rope and the fact that the rope will be moving sideways on the reel. In spite of related problems several turns around pulleys for rope-drive seem to allow a better grip and a more transferable torque. A car belt can reach 100,000 km. Assuming rope-drive speed is 40 km per hour (kitewinder’s data), its lifetime would be roughly 4 months in full operation, assuming also a rough comparison. For yoyo the reel-out/in cycles can use even faster. The lifetime of an y or rotating flygen with a motionless main rope could be far higher if the flying member is light enough to stay in the air even with light or no wind, the turbines working as motors. A car belt can reach 100,000 km. One reason why it might not be very informative: a rope drive is several orders of magnitude less of the time in contact with the pulleys. And rope should fatigue less than rubber? You all know the chorus… What we singing about? One reason why it might not be very informative: a rope drive is several orders of magnitude less of the time in contact with the pulleys. Indeed. Intuitively I would think a long rope-drive suffers less (or less often) friction with pulleys. 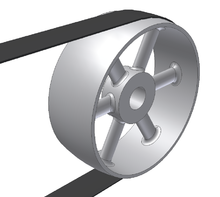 But in the other hand the pulleys of a car belt relatively supports and protects more the (short) belt. I can be wrong for this. It is a field for research. It is a field for research. I don’t think so. An expert should be able to answer these questions easily enough. We just aren’t that. 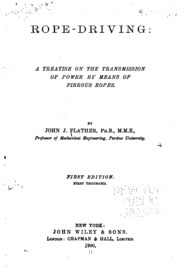 There is no doubt that a rope drive works for transmission of power over long distances. The only questions are how do you design the system to minimize wear, and what rope do you choose. You could design a system where the rope is not under a lot of tension, is moving slowly, does not rub on itself, and is only ever in contact with teflon pulleys. There’s not that much use in thinking about how to do that before you have a specific system in mind though. My guess: with a system designed to minimize rope wear, the limiting factor on rope life is uv damage. 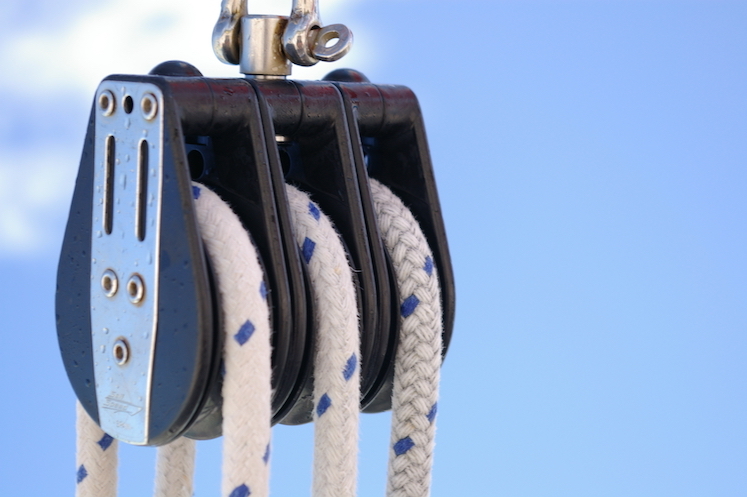 Why Choose Dyneema Rope vs Steel Wire Rope For Heavy-Duty Rigging? Manufacturing companies use Dyneema rope over steel wire rope for heavy lifting applications because Dyneema rope is 15x stronger than steel wire rope.